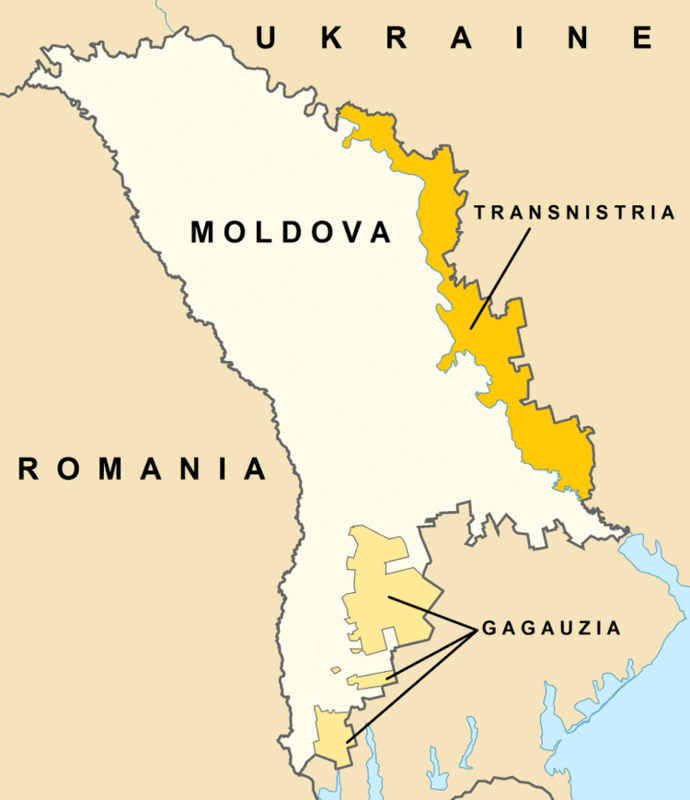 Gagauzia (Gagauz: Gagauziya or Gagauz Yeri; Romanian: ; Russian: , Gagauziya), formally known as the Autonomous Territorial Unit of Gagauzia (Gagauz Yeri) (Gagauz: Avtonom Territorial Bölümlüü Gagauz Yeri; Romanian: Unitatea Teritorial? Autonom? G?g?uzia; Russian: ?????????? ??????????????? ??????????? ??????? ?, Avtonomnoye territorialnoye obrazovaniye Gagauziya), is an autonomous region of Moldova. Its name comes from the Gagauz people. According to some theories, the Gagauz people descend from the Seljuq Turks that settled in Dobruja, or from Pechenegs, Uz (Oghuz) and Cuman (Kipchak) people that followed the Anatolian Seljuq Sultan Izzeddin Keykavus II (1236–1276). More specifically, one clan of Oghuz Turks migrated to the Balkans during the inter-tribal conflicts with other Turks. This Oghuz Turk clan converted from Islam to Orthodox Christianity after settling in the Eastern Balkans (in Bulgaria) and were called Gagauz Turks. A large group of the Gagauz later left Bulgaria and settled in southern Bessarabia, along with a group of ethnic Bulgarians. According to other theories Gagauz are descendants of linguistically Turkified Kutrigur Bulgarians. In the official Gagauz museum, a plaque mentions that one of the two main theories is that they descend from the Bulgars. Gagauzia is divided into three districts. It also is split into four enclaves. The main, central enclave includes the cities Comrat and Ceadîr-Lunga and is divided into two districts with those cities serving as administrative centers. The second largest enclave is located around the city of Vulc?ne?ti, while two smaller enclaves are the villages of Copceac and Carbalia. 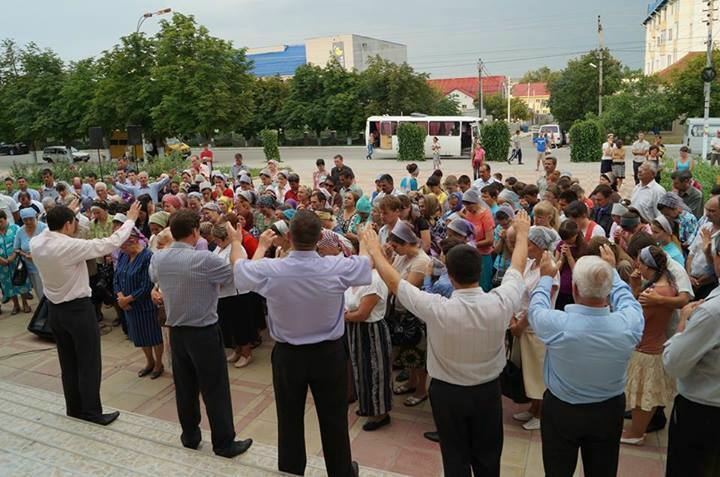 The village of Carbalia falls under administration of Vulc?ne?ti, while Copceac is part of the Ceadir-Lunga district. The base of the Gagauzian economy is agriculture, particularly viticulture. The main export products are wine, sunflower oil, non-alcoholic beverages, wool, leather and textiles. There are 12 wineries, processing more than 400,000 tonnes annually. There are also two oil factories, two carpet factories, one meat factory, and one non-alcoholic beverage factory. 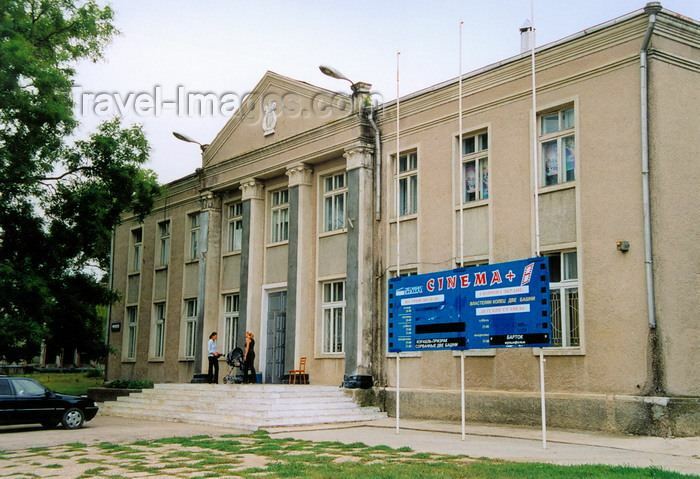 Gagauzia has 55 schools, the Comrat Pedagogical College (high school plus two years over high school), and Comrat State University (Komrat Devlet Universiteti ). Turkey financed the creation of a Turkish cultural centre (Türk ? ?birli?i Ve Kalk?nma ?daresi Ba?kanl???) and a Turkish library (Atatürk Kütüphanesi). In the village of Be?alma, there is a Gagauz historical and ethnographical museum established by Dimitriy Kara Çöban. 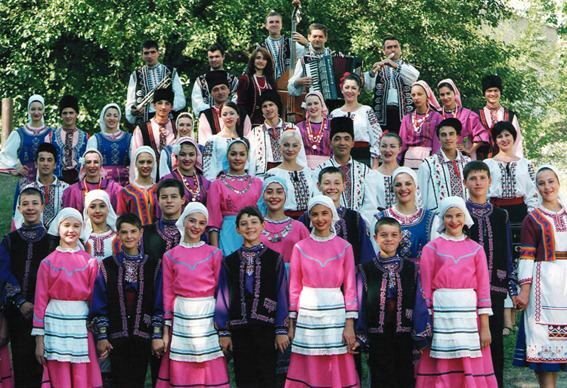 Despite declaring Gagauz as the national language of the Autonomy, the local authorities do not provide any full Gagauz-teaching school, most of those are Russian-language as opposed to inner Moldovan full Romanian language education. Although pupils are introduced to all of the usual school languages (Russian, Romanian, English or French, Gagauz), the local language continues to be least popular. Gagauz cuisine refers to the culinary practices of the Gagauz people. Its emphasis on dairy products and meats can be traced to the Gagauzs nomadic past, while the importance of grains as a staple food reflects their current farming lifestyle. The Gagauz maintain a unique method of processing milk and preserve meat, curds, and sheep milk cheese in animal skins. Prepared dishes include a version of head cheese, or cold cuts in jelly prepared from the heads and feet of livestock (traditionally served during holidays), and kurban, which combines bulgur wheat porridge with meat from a ritually slaughtered ram. Gagauz meat dishes are often accompanied by peppered sauces. Many family holidays and rituals are connected with the baking of bread, wheat loaves (kalaches), and unleavened flatcakes. Pies are also common, with popular variants being layered pies stuffed with sheep milk cheese and doused with sour cream before baking, pies with crumbled pumpkin, and sweet pies made from the first milk of a cow that had just calved. Red wine is served with most meals.